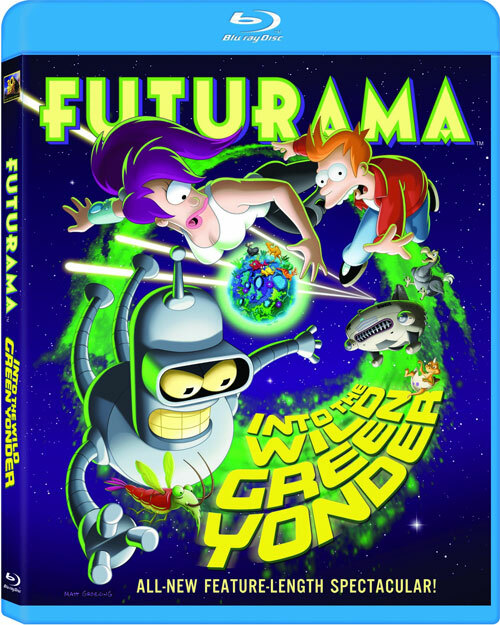 Twentieth Century Fox Home Entertainment presents the fourth and final feature-length “Futurama” movie, “Futurama: Into The Wild Green Yonder,” arriving in stores February 24, 2009 on DVD and Blu-ray. Guest stars include Penn Jillette, Snoop Dogg, Phil Hendrie, and Family Guy creator Seth MacFarlane. In addition, fans of the series will finally discover the truth about “Number 9 Man,” a mysterious character from the earliest days of the series. Synopsis: In this all-new Futurama movie, mankind stands on the brink of a new Green Age. But ancient forces of darkness, three years older than time itself, have returned to wreak destruction. Even more shocking: Bender’s in love with a married fembot, and Leela’s on the run from the law – Zapp Brannigan’s law! Fry is the last hope of the universe… Could this be the end of the Planet Express crew forever? Futurama: Into The Wild Green Yonder is packed with bonus features, including audio commentary from Matt Groening, David X. Cohen, John DiMaggio, Maurice LaMarche, writers and animators, a making-of mockumentary, deleted scenes, How to Draw Futurama, “Bender’s Movie Theater Etiquette,” “Zapp Brannigan’s Guide to Making Love at a Woman” and much more. 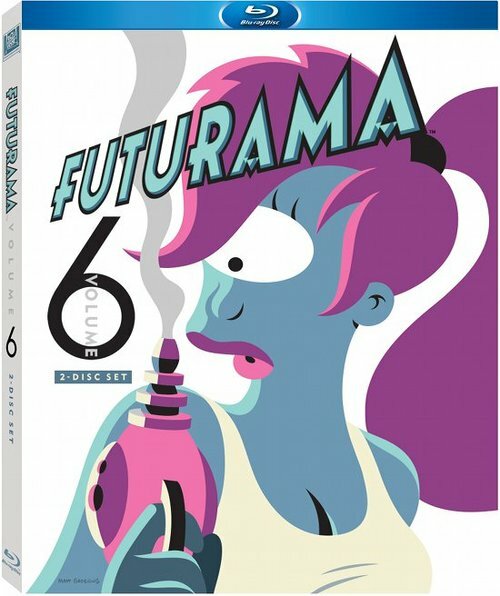 Video Picture–In–Picture commentary by Matt Groening, David X. Cohen, John DiMaggio, Maurice LaMarche, Michael Rowe, Lee Supercinski, Patric M. Verrone and Peter Avanzino. 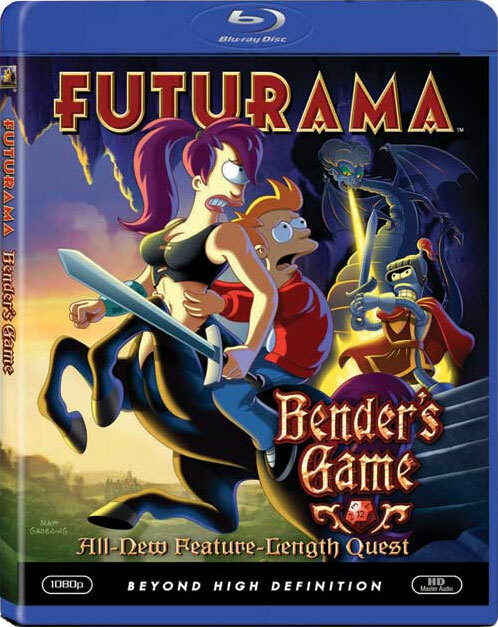 Head back to the future when Futurama: Bender’s Game premieres on DVD and, for the first time, Blu-ray Disc November 4 from Twentieth Century Fox Home Entertainment. With fuel prices skyrocketing, the Planet Express crew sets off on a dangerous mission to infiltrate the world’s only dark-matter mine, source of all spaceship fuel. 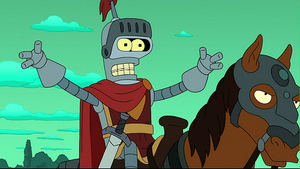 But deep beneath the surface, they discover a far stranger place… a medieval land of dragons and sorcery and intoxicated knights who look suspiciously like Bender. Joining the cast are guest stars George Takei (Star Trek) and comic impressionist Rich Little. 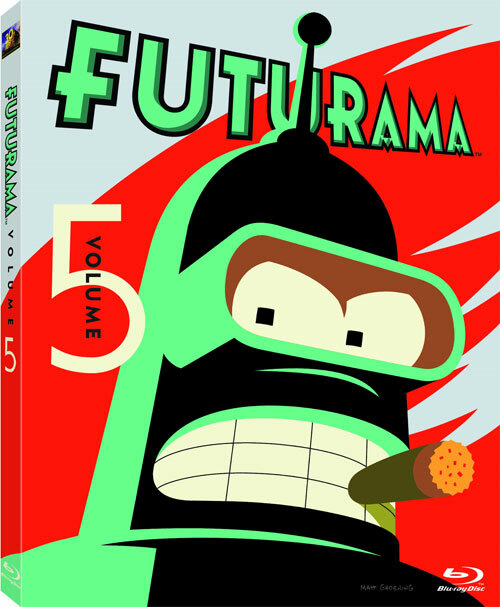 The third installment of four all-new feature-length adventures, the Futurama: Bender’s Game DVD and Blu-ray are packed with special features. Hosted by David X. Cohen, “Dungeons & Dragons & Futurama” chronicles the influence of the classic role-playing fantasy game on the franchise. 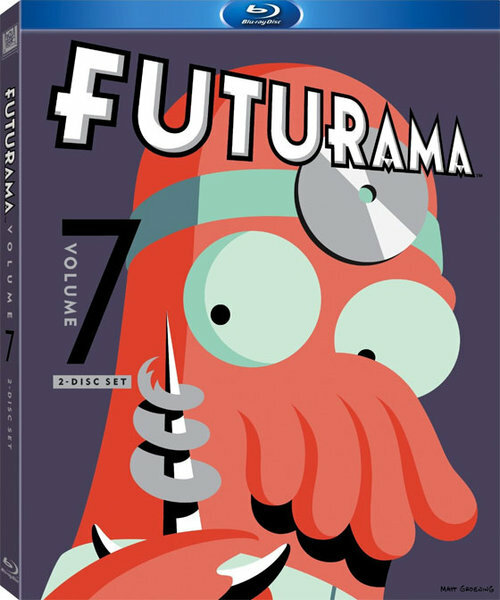 Other special features include outtakes, cast commentary, an anti-piracy message from Bender, an interactive Futurama Genetics Laboratory, a sneak peek at the next “Futurama” movie, and much more. 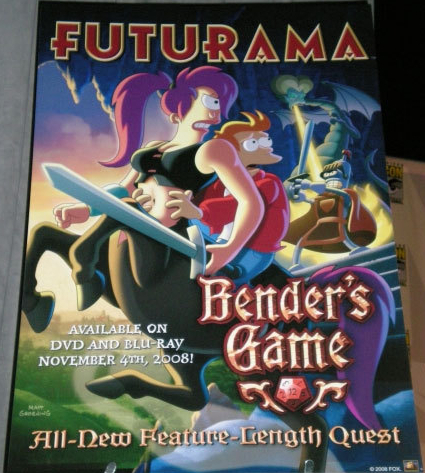 The Futurama: Bender’s Game Blu-ray release includes the wide screen version of the film and all of the above standard definition special features plus Picture-in-Picture capabilities. The disc will be authored in BD-J with AVC (MPEG 4) compression and presented on 50 GB dual-layer disc with English 5.1 DTS HD Lossless Master Audio plus English, French, Spanish, Korean, Mandarin and Cantonese subtitles.